So timely! 2015 is also a big transition year for the MHOH trio. I’m almost retired now, still feeling kind of guilty about it after 6 months despite doing a lot of worthwhile stuff. 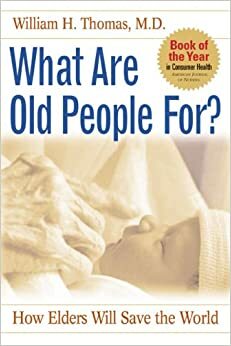 For example, putting on my son’s wedding and getting certified as a Certified Senior Advisor. I like the term “advancement” (good for Heather!) Way better than the awful French “Faire la retraite;” I do not like the thought of retirement as “retreating.” Personally, I’m headed for new life adventures, just haven’t figured it all out yet. Karen and I remodeled a condo in Sarasota with aging in place features incorporated, and are in process of moving things in and getting organized. Jean will be staying in Pittsburgh, looking for partners for another shared household. Our 3-woman house is for sale, which is quite wrenching after 11 wonderful years. Sad but happy transitions. Best of luck with yours. Sounds like a dynamic start to a cool new chapter. Wow, yes indeed, big changes in the works, and ahead. New chapters ahead for us all. Keep in touch! Good post. We are having trouble making this transition. Yes, we are in Spain and it is exciting but I keep feeling I should be doing something. I am actually bored for the most part. I miss the social interaction of work and what I did was so people centred. Also some things didn´t work out as we planned so there has been some stress. I am in the neutral zone I guess. I know for a fact if we were still in Canada I would be sending out resumes fro part-time work. In the meantime I am enjoying the new culture. Good luck with your transition Paul. •	Find a regular time and place to be alone. •	Begin a log of neutral-zone experiences. •	Take this pause to write an autobiography. •	Take this opportunity to discover what you really want. •	Think what would be unlived if your life ended now. 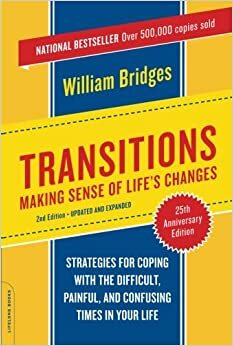 You could do worse than picking up “Transitions”, and perhaps the second & third book as well. Stay with it and I’m sure you’ll prevail. I imagine you already did your decluttering before you moved to Spain. All the best, and keep in touch. We’ll be dropping by one of these years! After you’re out of the Zone. Good food for thought an all fronts. My Grandma, in her 90s, is someone I think of often when I think of letting go of things. She lost her husband, then (her ability to be in) her home, then her ability to cook, then her ability to read cookbooks. It feels so sad, but yet she doesn’t complain and keeps moving forward into each new day. Her skilled nursing room is the size of a dorm room. No more “stuff” but she still has joy and interests. She is showing us how to walk the path at the end of life.